Johannes Letzkus is a biologist by training, and got fascinated with neuroscientific questions during his studies at the University of Mainz (Germany). After examining basic properties of synaptic transmission in Drosophila there, he aimed to gain a deeper understanding of the computations performed by single neocortical pyramidal neurons, one of the most complex type of neuron, during his PhD. 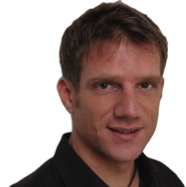 For this work Johannes joined the lab of Greg Stuart (John Curtin School of Medical Research, Canberra, Australia), where he examined dendritic and axonal mechanisms of information processing. These results revealed that the location of a synapse in the dendritic and axonal arbor is a dominant factor determining the rules that govern its plasticity. As a postdoc and subsequently an independent fellow at the Friedrich Miescher Institute for Biomedical Research (Basel, Switzerland), Johannes dissected how the activity of defined neuron types embedded in the intact circuit give rise to behavioral functions. Their data revealed that disinhibition- transient breaks in the balance of excitation and inhibition- is a crucial circuit mechanism for associative learning in both auditory cortex and the amygdala. In 2013 he moved to the Max Planck Institute for Brain Research (Frankfurt, Germany), where his lab focuses on investigating the mechanisms and consequences of neocortical circuit modulation by behavioral context, combining cell-type specific recording and activity perturbation approaches with learning and attention tasks. The same sensory stimulus- such as a song on the radio- can be processed very differently by the brain depending on what we are currently doing: When we are in the process of writing a blurb on our research interests, we may chose to ignore it. In contrast, if we are driving along in the car with little on our mind it may capture our attention, and if we like it enough we may even commit the tune to memory. My lab addresses how the circuits of sensory cortex, which process external stimuli, are modulated by such internally generated signals. In contrast to our detailed understanding of how the specific attributes of sensory stimuli (such as the orientation of a bar in space) shape neuronal responses in sensory cortex, we know very little about the mechanisms and consequences of this form of modulation. We use behaving mice performing learning and attention tasks to model these effects, and apply a combination of cell-type specific activity recordings (2-photon calcium imaging and electrophysiology) and optogenetic perturbations during behavior to dissect the underlying circuit mechanisms.